The seven-year itch. I’m sure you’ve heard of it. Social scientists say it’s when a married couple’s happiness wanes. For many husbands and wives, it includes a sense of monotony, boredom, a lack of fulfillment, passivity, and possibly even divorce. Maybe like my husband Ted and me, you made it to your eighth anniversary relatively unscathed. It wasn’t that there weren’t any bumps on the marital road, it’s just that with the Lord’s help you managed to successfully navigate them … together. But do you want to know what I recently learned? The seven-year itch isn’t confined to year seven. The truth is that psychologists can’t agree on when this notorious marital phenomenon has the potential to occur. Some have placed it closer to year ten or twelve. What they can agree on, though, is this: The infamous “itch” is common in marriages. This past December Ted and I celebrated our twelfth anniversary. A little while later later, we started to notice that we felt less connected, less close. We got along, sure. We still loved each other, yeah. But some of our normal spark was missing. What do I mean by that? Well, let’s look to the dictionary. Although the word “appeasement” tends to carry negative connotations, its definition is actually quite positive. Dictionary.com describes it as “to bring a state of peace, quiet, ease, calm, or contentment.” Ted and I’d gotten so comfortable with each other that we were doing the minimum needed to keep the “happy” in our “happy marriage.” And while this still brought an overall peace or calmness to our union, alone it wasn’t enough. We also needed “pursuit” or “the act of pursuing.” Pursuing means “to chase after someone or something.” By adding pursuit to our appeasement, we could find that missing spark. Pursuit would facilitate an even deeper, more consistent connection in our relationship. And the truth is, this wasn’t any new revelation for us. It was last year that Ted first mentioned to me how we needed to do better in the area of pursuit. We even attended our first marriage retreat. It’s just that we’ve both been slow in making changes. It took feeling less connected to remind us of its importance. Maybe you can relate. Because the thing is, you don’t have to be in year seven or ten or even twelve to find yourself in a similar place. Feeling less connected can happen anywhere on the marital timeline. 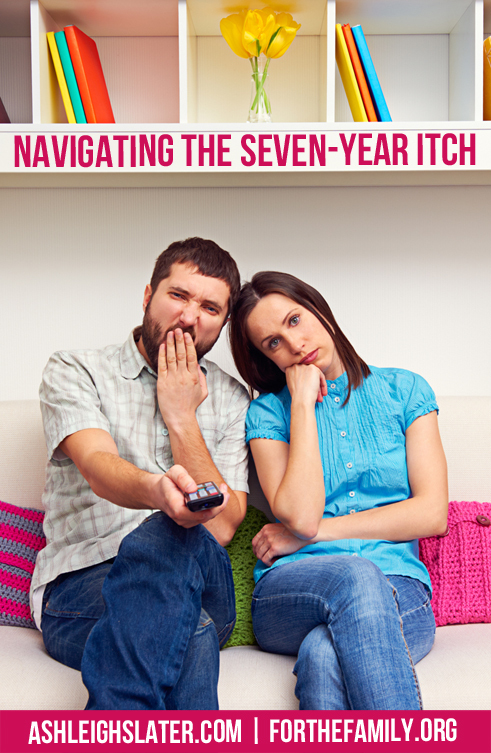 So how can a couple navigate this and proactively prevent any “itch”? Here are three suggestions. 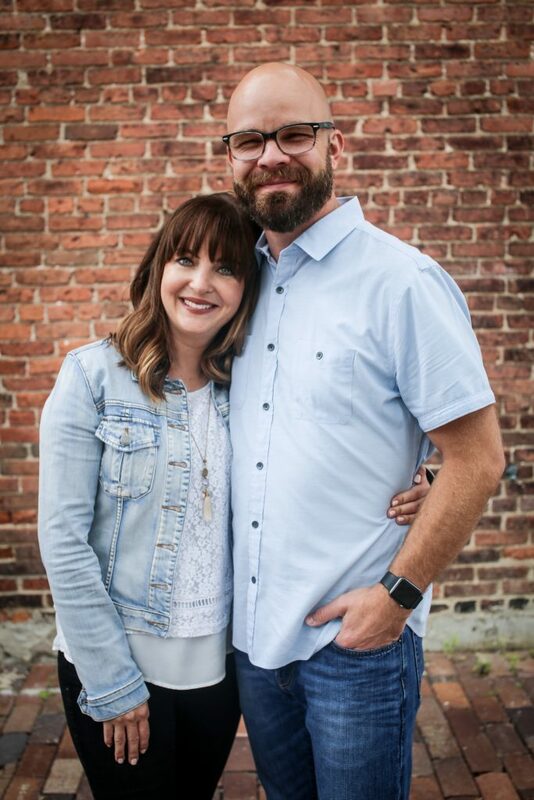 If you’re feeling a waning connection with your spouse, pray. James tell us, “If any of you lacks wisdom, let him ask of God who gives generously to all without reproach” (1:5, ESV). Ask the Lord to help you (1) identify what’s specifically causing the disconnect, and (2) become aware of how you are personally contributing to it. Next, actively and honestly discuss it with your spouse. Don’t let this be a one-time conversation, but rather, an ongoing dialogue about what you can do to reconnect. Simply talking about it together is a great starting place for forging a stronger sense of connection. 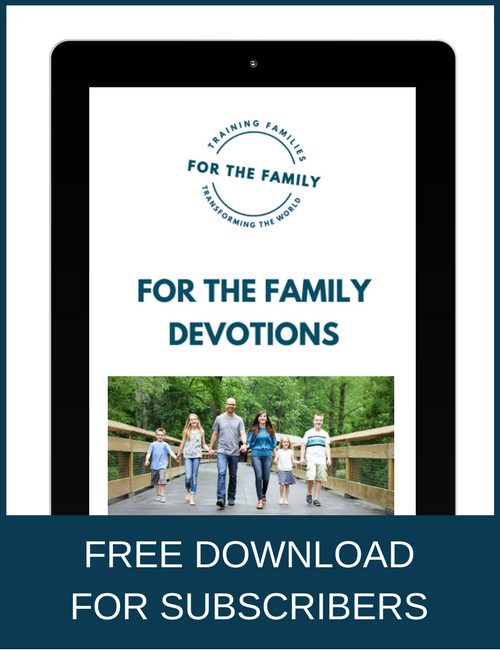 For those of you who may be concerned that your spouse won’t be open to a discussion or won’t actually follow through on making changes, here’s a link to some communication tools that might help you better broach the subject. Finally, determine to make changes to your habits; to whatever “rut” you’ve found yourself in. You can do this in a number of ways, but here are two ideas. One, reinstitute old connection-forming habits. Think back to a time in your marriage when you felt especially close. What shared habits did you have then? Put one or two of them back into practice. Two, step out of your comfort zone. What new habits can you bring to your marriage that encourage connection? If writing notes to your spouse doesn’t come naturally, but you know affirming words are his or her love language, give it a try. Or if you struggle to be intentional with touch, make an effort to reach out more often, literally. American journalist and author Mignon McLaughlin once wrote, “A successful marriage requires falling in love many times, always with the same person.” She’s right. It’s one reason that Ted and I realize that in our marriage appeasement alone isn’t enough. Pursuit is needed too.